7 mm thick and 2.5 kg heavy – the designed concrete dress is hardly heavier as a wedding dress. This is made possible by the use of carbon concrete. 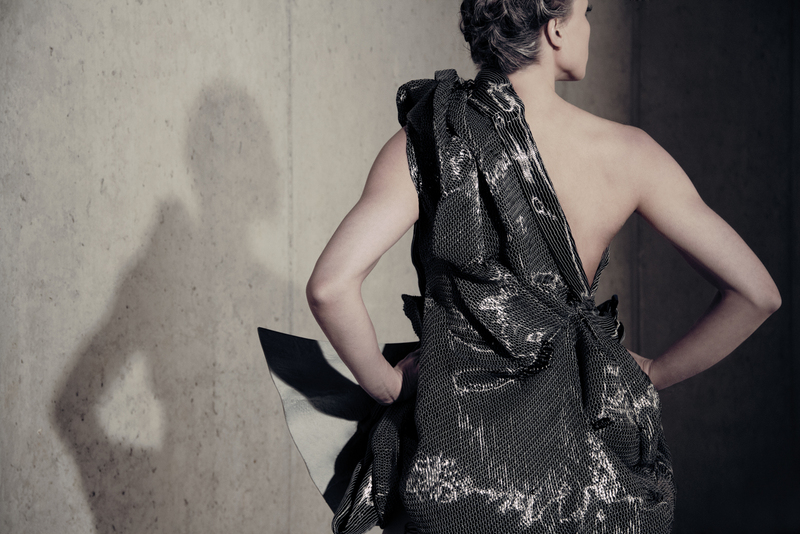 The dress visualizes artistically how the symbiosis of the well-known building material concrete with a reinforcement with carbon fibers becomes a new composite material with outstanding properties. Carbon concrete has the potential to revolutionize building in the future. The dress was created together with the research group „Sustainable Building“ at the HTWK Leipzig for the interdisciplinary research consortium C³.